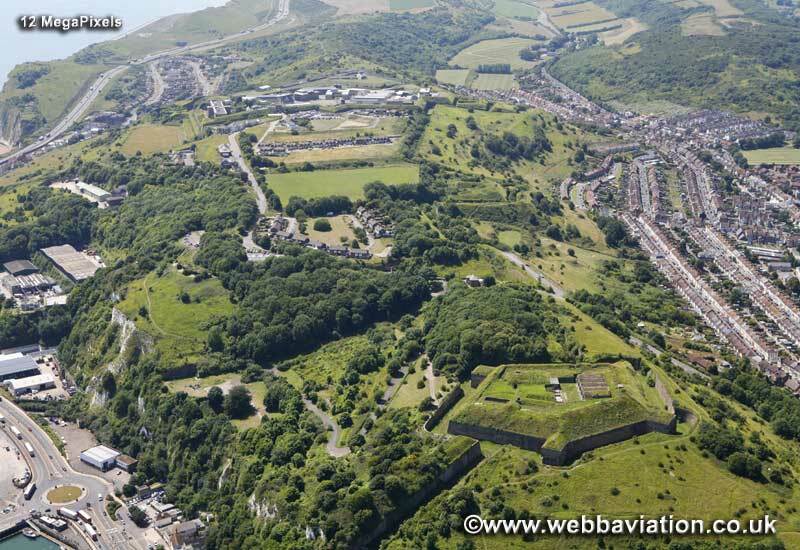 Left foot forward (a journey into reenactment): The Tricolor cliffs of Dover. Well, I DID go to Dover. I am quite a good traveller, as long as I am being conveyed in the right direction I feel things are going well, and if there is a delay that I can do nothing about then just sit and wait for a bit. 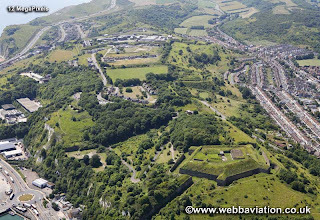 I soon got up on the Heights, a former fort overlooking the harbour, it covers quite an area but much has fallen into disrepair, hence the existence of the preservation society who run this event. It was a fairly relaxed affair, other than representing a French camp and chatting to visitors the main event was a skirmish in the afternoon. Before then there was a bit of drill, and I wandered about the site, chatted to the British surgeon and shared a spot of snuff, and enjoyed the view. There was also a lovely bit of story telling from John to a bunch of kids, all about soup! Also tried on the Curassier gear from our display, wow, If I ever win the lottery (I do buy a ticket about every 12 months..) or inherit a huge fortune from a mysterious relative then I would be tempted to try and put a unit together, with my four warhorses from my personal stables, in the grounds of my castle. I am a great natural horseman and went on a hack once in Cornwall and didn't fall off once. He needn't have troubled cos at the end I found myself hoisted up besides a comarade and despite appeals to the crowd for leniency were shot as infilitrators, they could have just sent us to the detention centre down the road, but no. Back from the dead we formed up and gave a mighty 'Vive l"Empereur! or three, followed by the British officer attempting to lead his men in a rendition of 'God save the King..' except with a rather stumbling 'don't really know the words/I'll just look at my feet' response from his men that I found very amusing. Superior French elan indeed! 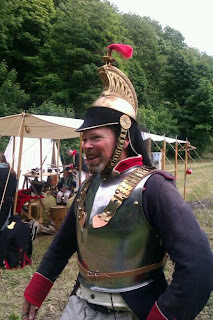 Immediately afterwards the Surgeon from the footguards gave a talk/demonstration on battlefield surgery with a patient having one of his legs amputated and carried away whilst his mother wept (then had a stiff drink). Great show. I think as a smaller event audience participation was vamped up, at Hunton it didn't really matter if the public were there or not, you mainly listened out for orders and watched the goings on in front of you, the set up here was much like being on a stage. Good day indeed. 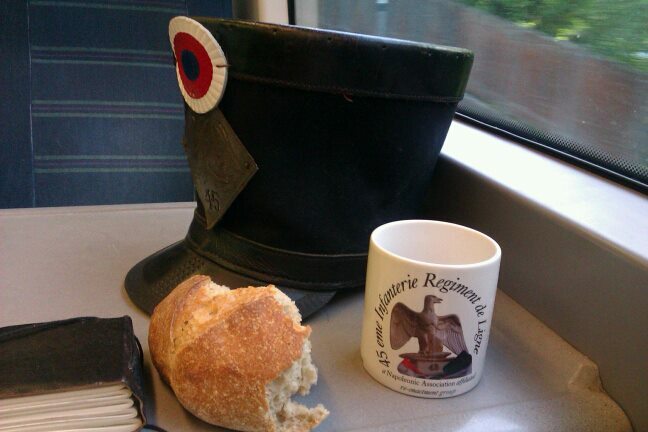 Next stop Eastbourne redoubt next month where we shall meet the Foot guards once again. I will now return to drinking tea.